Nine states (Alabama, Indiana, Louisiana, Maryland, Mississippi, North Carolina, Oklahoma, Texas, and Virginia) experienced high ILI activity. Eight states (Arizona, Arkansas, Florida, Georgia, Idaho, Illinois, South Carolina, and Tennessee) experienced moderate ILI activity. New York City and nine states (California, Hawaii, Missouri, Nevada, New Jersey, New Mexico, Pennsylvania, Utah, and Wyoming) experienced low ILI activity. Minimal ILI activity was experienced by 24 states (Alaska, Colorado, Connecticut, Delaware, Iowa, Kansas, Kentucky, Maine, Massachusetts, Michigan, Minnesota, Montana, Nebraska, New Hampshire, New York, North Dakota, Ohio, Oregon, Rhode Island, South Dakota, Vermont, Washington, West Virginia, and Wisconsin). Widespread influenza activity was reported by 25 states (Alabama, Alaska, Arizona, Colorado, Connecticut, Georgia, Kansas, Kentucky, Louisiana, Maine, Maryland, Massachusetts, Mississippi, New Jersey, New Mexico, New York, North Carolina, Ohio, Oklahoma, Pennsylvania, South Carolina, Texas, Vermont, Virginia, and Wyoming). Regional influenza activity was reported by 16 states (Arkansas, Florida, Idaho, Illinois, Indiana, Michigan, Minnesota, Missouri, Montana, Nebraska, Nevada, New Hampshire, Rhode Island, South Dakota, Tennessee, and Wisconsin). Local influenza activity was reported by the District of Columbia and four states (Iowa, North Dakota, Washington, and West Virginia). 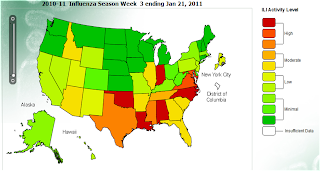 Sporadic influenza activity was reported by Puerto Rico, the U.S. Virgin Islands, and four states (Delaware, Hawaii, Oregon, and Utah). Influenza activity continues to rise throughout many countries in the Northern Hemisphere. 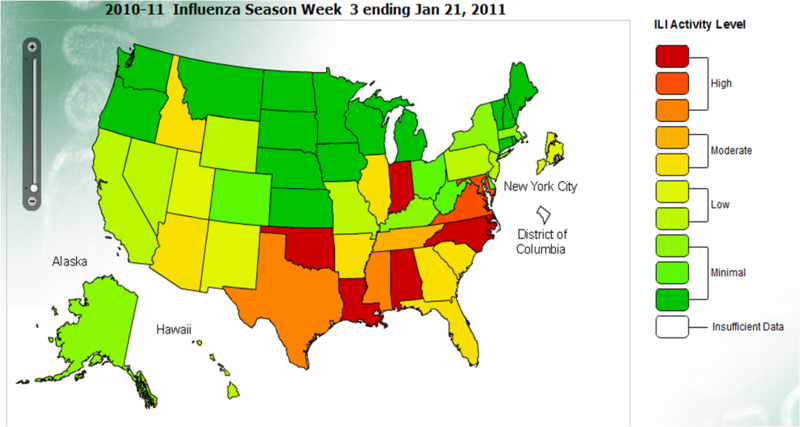 During the week ending January 15, 2011, influenza activity increased in East Asia, North Africa and the Middle East. According to WHO, influenza activity in Morocco, Algeria and Tunisia increased during the last two to three weeks (as of January 14th). The majority of cases were influenza B. Influenza activity is increasing in Iran and Pakistan, where the predominant influenza A subtype is 2009 H1N1. Since October, 2010, there have been 122 influenza-related deaths in Egypt. good definition quality. The above-given attributes are from mobdro free download different choices, and also it is likewise a better crawling nice. "To get started with this Kodi approach, you want to download Kodi App and install the exe apply for the Kodi installment function have methods Kodi Download to download Kodi on your Windows laptop. Kodi for Android You'll go with either one amongst "